Dalla Terra Italian Fest Saturday, February 23, 2013 1:00- 3:00PM With Passed Appetizers $45. 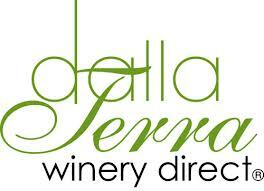 Dalla Terra has long been considered one of the finest importers of Italian wines. Their selection has few rivals and we are pleased to give you the opportunity to taste through their portfolio. We will taste the wines of some of the regions’ top producers from the north to the south of the peninsula. This is a fantastic opportunity to explore those wine regions and grape varietals you know and love as well as discover new favorites.